Designed by BKSK Architects to reflect the historic significance of the neighborhood, the five-story building serves as a private front door and an elegant transition to your home. 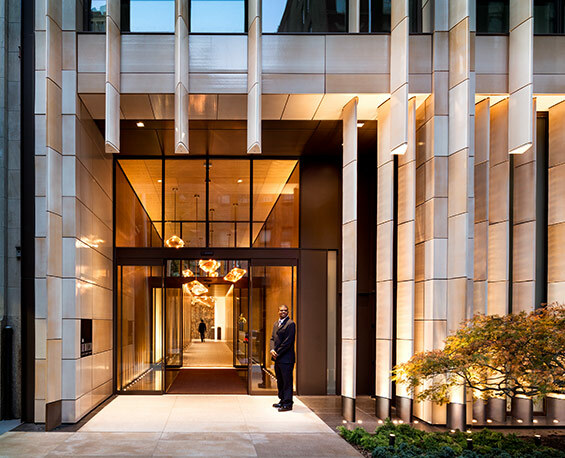 One Madison’s slender 60-story bronze glass-clad tower, designed by Cetra/Ruddy, is a distinctive new icon in the Manhattan skyline. One Madison’s lobby, designed by Yabu Pushelberg, is a dramatic and contemporary space defined by rich book-matched marble walls, a slender water feature that casts light and shadow behind tall wood columns and a curated permanent art installation created specifically for One Madison. Capturing the elegance and excitement of One Madison’s location, every residence offers magnificent views of the park, Madison Avenue and the Manhattan skyline. 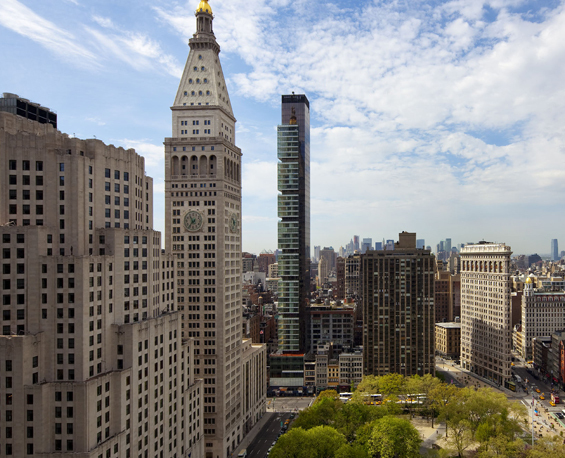 Not quite Uptown or Downtown, One Madison is ideally located at the nexus of Flatiron, Gramercy, NoMad and Chelsea. Overlooking Madison Square Park, an elegant green oasis in the heart of New York City with a significant public arts program.